Our 16mm combination rope net holder can be used to assemble rope products onto wooden frames. Two self tapping screws are supplied to secure the rope in to the netholder. 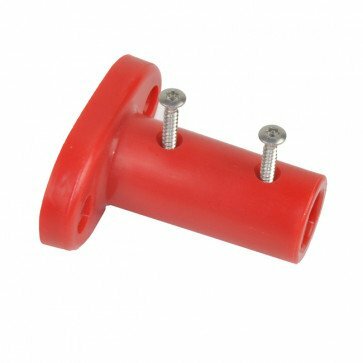 These fittings are not suitable for single ropes and should only be used when constructing nets. We recommend Torx Timber Screws (F11) for fixing the net holders to the fixing posts.